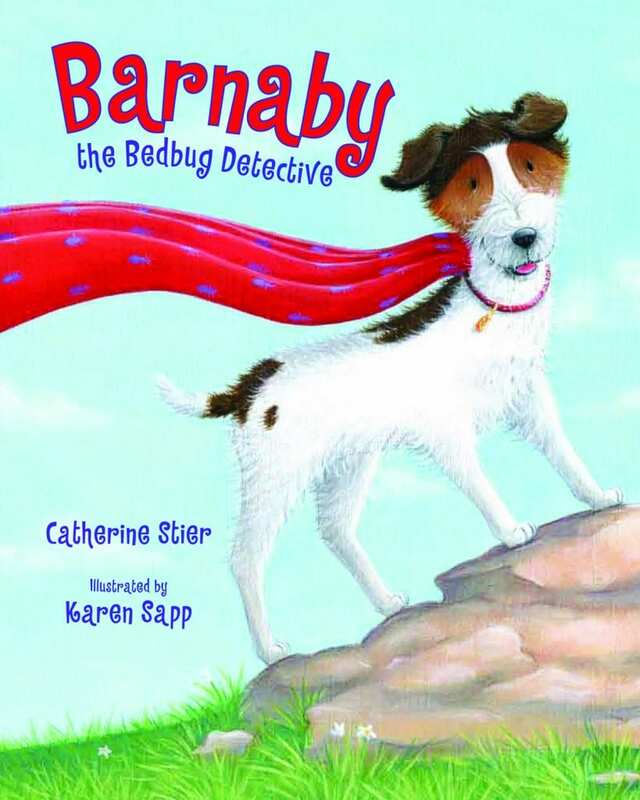 BARNABY THE BEDBUG DETECTIVE introduces a new kind of hero — a small dog with big dreams! Maybe I’m not the hero type. But I can dream. Sometimes I dream I’m a rescue dog, saving a child lost in the woods. Or a guide dog, helping a person who cannot see. Or a police dog, tracking sneaky robbers. But when I wake up, I must face the truth. It’s mostly big dogs who do those jobs. 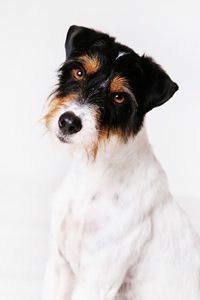 And I’m just Barnaby, a small mutt living in an animal shelter. Barnaby has big dreams, but he finds his true calling when he’s adopted into a loving home and becomes a bedbug-sniffing dog—helping to find hidden bedbugs in hotels, on airplanes, in movie theaters, and even in people’s homes! Turn to the last page of the book to meet an adorable, REAL-LIFE bedbug detective, Bernie! BUGS IN MY HAIR?! 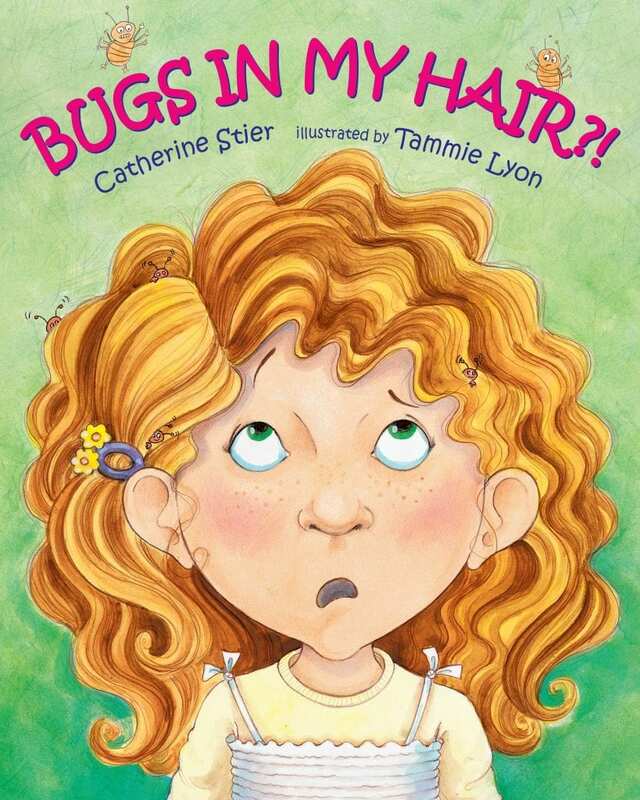 tackles the problem of head lice in a light-hearted way while offering information and reassurance. When Alex spills milk on his football jersey and Morgan’s braid unravels, they both say, “These things happen.” But Ellie LaFleur, who is practically perfect, sniffs, “Not to me.” And it’s true. Ellie’s nails are always filed, her clothes are snazzy, and her long locks are lovely. So when Ellie’s head begins to itch, she’s sure it’s an allergy. “BUGS IN MY HAIR? !” blurts Ellie when her mother and the school nurse give her the bad news: Ellie has head lice. “These things happen,” says Ellie’s mother. At home, Ellie and her mother talk to the doctor and read the papers from the school nurse. Then they shampoo, comb, and do laundry. Ellie even writes a note for kids who get head lice—“These things happen,” it says. The author includes a note for concerned parents. Catherine Stier’s light look at this all-too-common problem is sure to strike the right note with stressed-out kids and families. Tammie Lyon’s humorous paintings complete this reassuring tale. Meet a cheerful school nurse who can deal with anything – earaches, tummy aches and even especially pesky problems – in her own surprisingly upbeat ways. Nurse Penny is a fun and funky school nurse who wears honeybee earrings and a butterfly smock and carries a ladybug purse. But there’s one kind of bug she’d rather not have around. . .head lice! So she calls a special school assembly to talk about those pesky critters—what they look like, how to avoid them, and how to get rid of them. 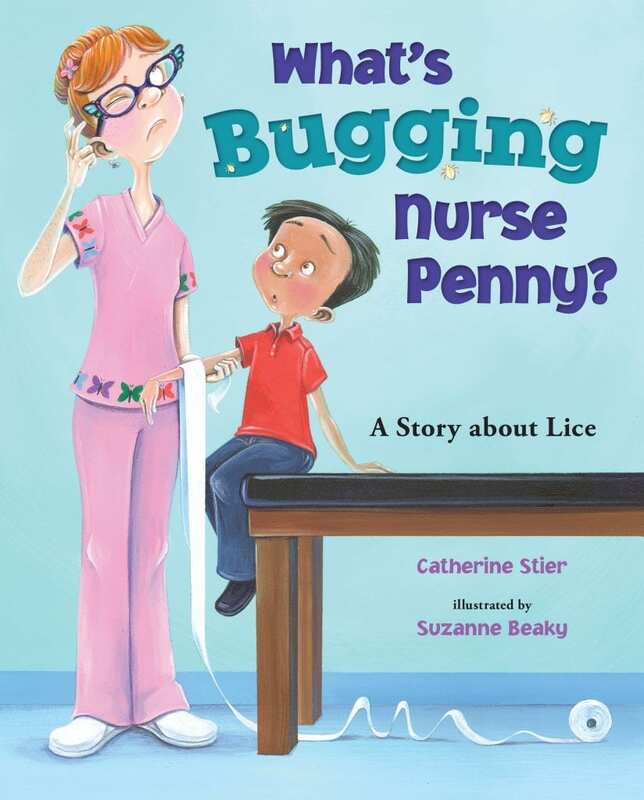 After all, lice can happen to anyone—even the school nurse! At book signings for BUGS IN MY HAIR?! (Albert Whitman & Company, illustrated by Tammie Lyon) I met people who were excited to give that book to a school nurse who might encounter similar situations with students. This, along with an editor’s suggestion, was the inspiration for WHAT’S BUGGING NURSE PENNY? (Albert Whitman & Company, illustrated by Suzanne Beaky) – a book about a fun and funky school nurse. 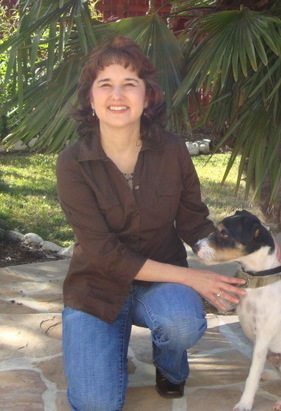 While researching BARNABY THE BEDBUG DETECTIVE (Albert Whitman & Company, illustrated by Karen Sapp), I had the chance to meet a scrappy, real-life bedbug detective dog – Bernie! He lives in Texas and his photo appears at back of the book. Bedbugs like the dark best. But keeping lights on won’t scare them away! Find out more about bedbugs, and doggy heroes, in BARNABY THE BEDBUG DETECTIVE. Bernie’s portrait, photo by Teri Grant. Used with permission. Bedbug illustration from Barnaby the Bedbug Detective illustrated by Karen Sapp. Copyright © 2013 Karen Sapp. Used with permission of Albert Whitman & Company.